This quote by His Highness Sheikh Mohammed bin Rashid Al Maktoum, Vice President and Prime Minister of the UAE and Ruler of Dubai, perfectly encapsulates the pride that I, and all others who grew up in this great nation, feel for him. What he has accomplished in the short time since becoming ruler is nothing short of phenomenal, and under his guidance, Dubai has evolved to become an oasis of innovation and a hub for art, science and business. His vision captured the essence of Dubai and transformed it from the most successful city in the Middle East to a global beacon of progress and determination. Thank you, Your Highness, for all that you have granted us and for all that you have offered this land in services, initiatives and trailblazing projects. Thank you for possessing the courage to pick up where luminaries like the late Sheikh Zayed left off, and in guiding your people — and indeed all those who call Dubai their home — on to a path of prosperity, hope and ambition. I do not write such words lightly. Having been raised by the hands of a great man myself, I know well the inspiration that a leader instils in those around him. 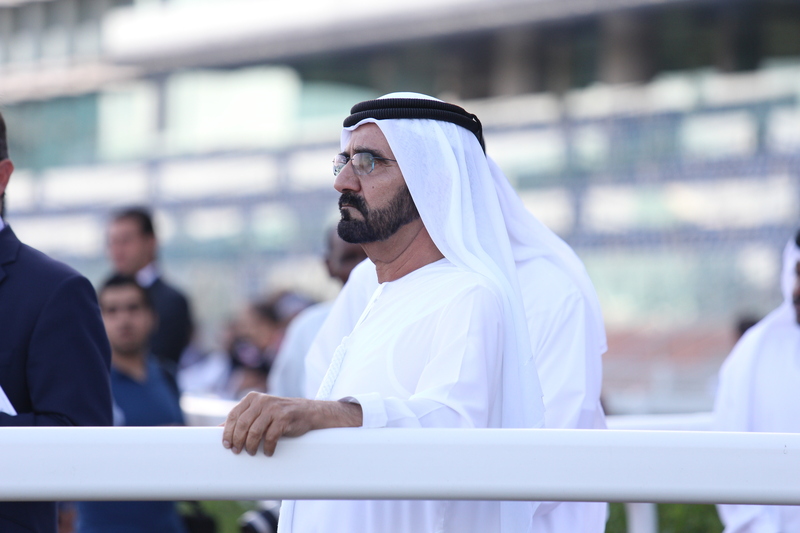 I see a world of love in my father, and know that His Highness Sheikh Mohammed looks upon the people of this city with the same caring eyes, positioning their interests and happiness above anything else. Thank you, Your Highness, for realising the dreams of many, including mine, and for turning this Emirate into the immaculate representation of a vision achieved. As a child, I walked down Dubai’s streets and set my sights on a horizon that was yet to be. Now, the skyline stands as a statuesque symbol of ambition, challenging the very landscape it exists upon and embodying the spirit of Dubai and its people under your leadership. Just a handful of Sheikh Mohammed’s achievements are enough to astonish: the triumph of Expo 2020, the construction of the Burj Khalifa and Burj Al Arab, the innovation of Dubai 10X, the establishment of the Ministry of State for Happiness, the development of the Mohammed Bin Rashid Space Centre and the launch of multiple satellites including Nayif-1 — the first ever CubeSat designed and manufactured entirely by Emirati engineers. We thank him for sharing his dream with us and for opening his heart to Dubai and its people; for putting the Emirate at the centre of the developed world, and most of all, for allowing us all to dream and build upon our own ambitions.